A useful site I stumbled across for farming your bits n bobs in Warframe. 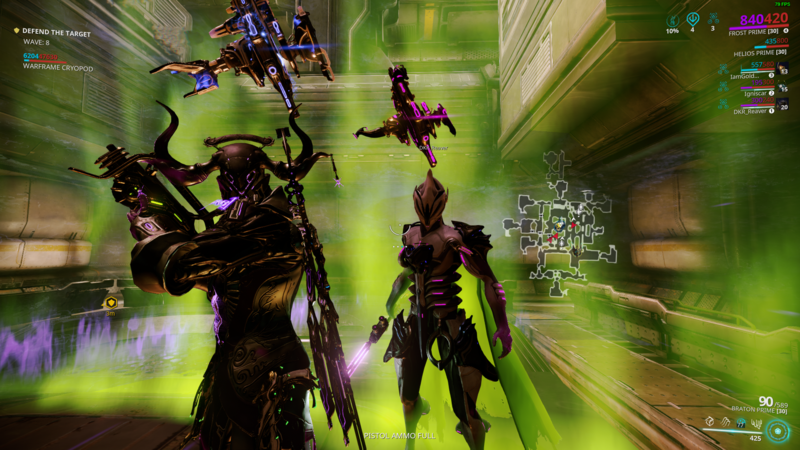 Quick update today, Operation Plaguestar has returned to PoE in Warframe. The event gives us some clan rep for participation and the plague weapon components and arcanes for the Cetus weaponry. I'm away until Sunday as it's the daughters 21st, but will be grinding it tonight. Anyone is welcome to join us, past or present. Khora is due out next week for any that are interested (So a couple of new items and some skins as usual). She has already had an overhaul of abilities from those first released. This Tactical Potato post overviews the dev stream. She now has 1. A whip that scales from melee, 2. A barbed wire type snare that snares other mobs that get close (Like the Inaros quicksand), 3. Summon a Kavat (Which has three modes 1. Attack, 2.Defend 3.Heal (It heals the lowest health party member in a cycle)) and 4. A CC Dome made of wire (each vertices (where the lines join) can grab mobs). Dev stream 109 is worth a full watch if you want to catch up on the Venus update, Vehicles, Walker pets, Khora and the Void Onslaught mode. The Plaguestar event is almost over (Thus the Khora release) if you are collecting the Hemocyte for the dojo. It is also by far the easiest way to stock up on all those wisps. As usual, if anyone hasn't played or need something to fill a waiting gap, just pop in Discord or leave a message and we'll get you an invite. Edited by Xaphan, 15 April 2018 - 07:08 pm. The Excalibur Umbra update has landed on PC, it brings a ton of UI changes as well as the next part of the cinematic quest line. Edited by Xaphan, 15 June 2018 - 05:28 pm. Popping back in game (once updated) to see what's what. Not sure if I'm still in Weezel's clan or what. You are still there mate, give me a shout in Discord if you need anything. We'll be back in there for Venus no doubt, just dossing in No Mans Sky at the moment.